Guzmán Ariza is known predominantly for the representation of international corporations and individual investors in the Dominican Republic. We handle every matter for our international clients: from the simple purchase of a vacation villa to complex commercial litigation and transactions involving mergers and acquisitions or the development of large real estate projects. As one of the oldest law firms in the Dominican Republic, our lawyers offer clients the benefit of hundreds of years of cumulative experience as legal practitioners in our different areas of expertise. Guzman Ariza’s growth to a nationwide legal powerhouse has been fueled by our ability to quickly adapt to client needs and changes in the Dominican legal market. Our lawyers believe that, as in any business, innovation is vital to achieving client satisfaction. 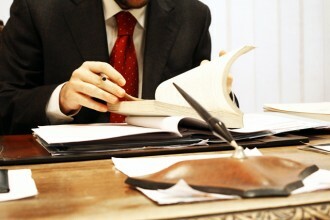 Thanks to the constant reinvention of our services, our clients can benefit from Guzman Ariza’s expertise in a wide and equally sophisticated array of areas of law and industries carefully selected to respond to the most challenging legal issues facing international corporations and individuals alike in the Dominican Republic. Please explore the practice areas listed on the panel to the left. We’d be delighted if you give us the opportunity to serve you.